PNC Bank Regional President Linda Bowden, a trailblazer in the banking industry whose commitment to community service has made her a role model for corporate social responsibility, will be the 2018 recipient of the New Jersey Business & Industry Association’s Caren Franzini Leadership Award. 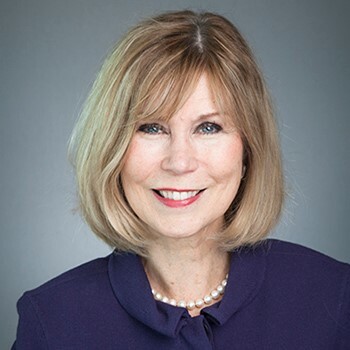 Bowden will receive the award at NJBIA’s 4th Annual Women Business Leaders Forum: “Empowering Together,” an event that regularly draws hundreds of attendees, both women and men, who participate alongside top business leaders and experts who share advice for professional advancement. Beauty industry titan Bobbi Brown is the keynote speaker for this year’s event on Sept. 14 at the Newark Liberty Marriott. Drawing on more than 25 years’ experience in wealth management, Bowden has made her mark in the banking industry. As regional president at PNC Bank, New Jersey, she currently provides executive leadership and supports business development initiatives, as well as the firm’s community-based activities. Bowden has been named among the “25 Women to Watch” by U.S. Banker magazine and recognized as one of the “Best 50 Women in Business” and “Power 100” by NJBIZ. Active in a wide range of community programs, Bowden serves on the board of the Drumthwacket Foundation, as well as the executive committees of the New Jersey State Chamber of Commerce, the New Jersey Symphony Orchestra, and Choose New Jersey. In addition, Bowden is a member of the board of trustees of the New Jersey Performing Arts Center, Fairleigh Dickinson University and the board of governors of Seton Hall-Hackensack Meridian School of Medicine. The Caren Franzini Leadership Award honors the legacy of the former longtime chief executive of the New Jersey Economic Development Authority, who died in 2017. Franzini worked closely with seven governors from 1994 to 2012 to promote entrepreneurial development and economic growth, particularly in New Jersey’s largest cities. After her tenure at EDA, Franzini served on NJBIA’s board of trustees until her death at age 57.